There are many benefits of meditation. These include relaxation, reduction in stress, improvements in health, and much more. DId you know included in the lengthy list of the benefits of meditation is that you can experience Out-of-Body travel? It's believed that meditation is just one of the ways to prep yourself to be able to experience out of body travel. More ways include having the right positive mindset, proper breathing, and knowing the stages. Out-of-the-Body travel (sometimes called Astral projection) is when a person remains fully conscious and may travel without their physical body throughout the universe. This is something that many people practice and spend their entire lives perfecting and researching. One woman recounts her first experience back on January 7th, 1985. 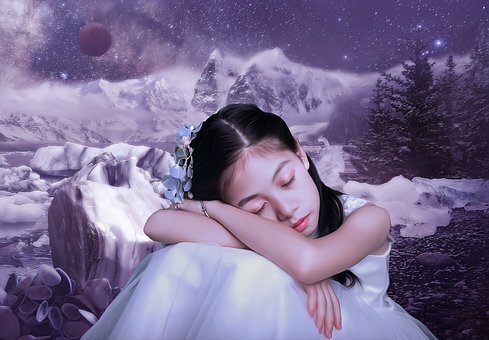 Prior to this experience she had many lucid dreams and would consider herself an advanced lucid dreamer. While she was great at "pre-programming" her dreams but was having difficulty for over three years having an out of body experience. Then, on that seemingly random Monday night in January, it happened. She awoke to a tingly feeling and piercing sound in her ear as her soul left her body. She felt other entities in the room and was terrified to leave the comfort of her body. She felt that these were dark entities and was nervous to try again. However, most people who practice Astral projection have positive experiences once they get the hang of it. There's a man, Rick Richards, who has had many of these experiences and in one even began to travel up to the moon after leaving his bed! He talks of the same tingling sensation that the woman above had, yet had very different experiences. He describes the feeling of flying and opportunities to visit loved ones. This week's podcast K-town interviews Jurgen Ziewe, author of Vistas of Infinity. In his book, Jurgen discusses the reality of our life after death, actual visits with all sensory perception intact using Out-of-Body travel. He has practiced Out-of-Body travel for our forties years so make sure you check it out! Have you ever had an Out-of-Body experience? Let us know in the comments below!